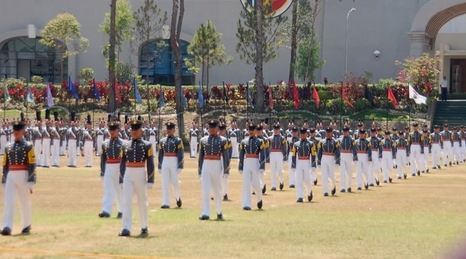 The top 10 PMA graduate cadets in 2013 have been announced by the Philippine Military Academy. Cadet First Class Jestoni Lanaja, son of a coconut wine (tuba) gatherer, topped the “Pudang-Kalis” Class. Lanaja, the class valedictorian, will receive the Presidential Saber Award from President Benigno Aquino III during graduation day on March 17 in Baguio City. His other awards include the Philippine Army Saber, Army Professional Course Plaque, Gen. Antonio Luna Award, Academic Group Award, Computing and Info Sciences Plaque, the Jusmag Award, and Spanish Armed Forces Award. Reports said Lanaja chose to serve in the Philippine Army. At the press conference, Lanaja said he will send his salary to his family in Davao del Sur.